Do you know what I miss most about summer? How long the days use to be! When the weather is gray and the days are short it's hard to actually get out and do things. The days over here in Washington have been ending around 4PM which hardly leaves me any daylight to go out and take pictures for outfit posts. So I want to apologize for the lack of sunlight in these pictures. The outfit post drought has finally ended and shouldn't be back anytime soon (; These beige heels that I'm wearing were a steal! I got them for $10 and they're super comfy (I'm not one to wear heels often). I'm also in love with arrowheads at the moment but I mean come on who isn't? If you want to work your way up into getting in touch with your "inner hipster", this little treasure is the perfect accessory for almost any occasion! Those heels are to die for! Love the color. I agree! Long summer days are something I miss terribly. Those shoes are just great, I love the color. Those heels are super cute. I love that the heel is a different kind of material. Love this outfit! and those shoes are sooo cute! I love the stud detailing on the back of your jeans! Super cute! that's the necklace you were telling me about, right? i was trying to remember just last night what it was you were saying about forever21. anyway, it's great. heels that are comfortable? i can't imagine. but they're cute! is that a wooden heel? and you know i love the studded jeans. i mean.. i really love them. You look gorgeous in this style. The beige heels were a great steal ($10?!) 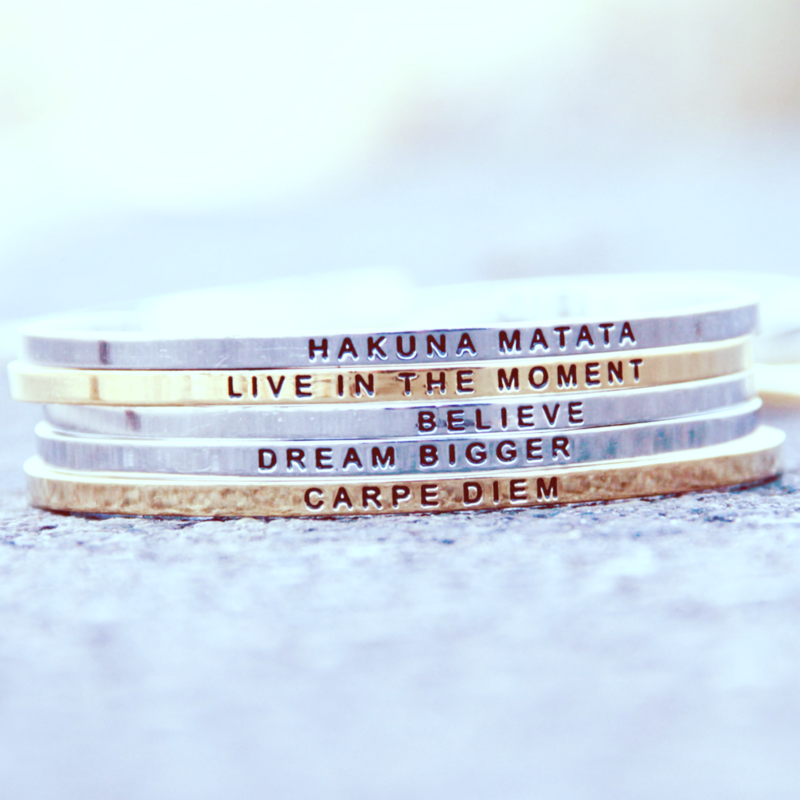 and are perfect with the cardi and jeans. Just beautiful! You look great, love the outfit girl! I know what you mean by the early end of the days...does make it hard to take pictures. Love this entire outfit! You look great!! Love this outfit, that necklace is gorgeous! I agree about the days being too short, it seems to be dark all the time here! Just stumbled across your blog & love it! YOur wedding pictures below are beautiful ! Really glad I joined your blog, can't wait to hear more ! 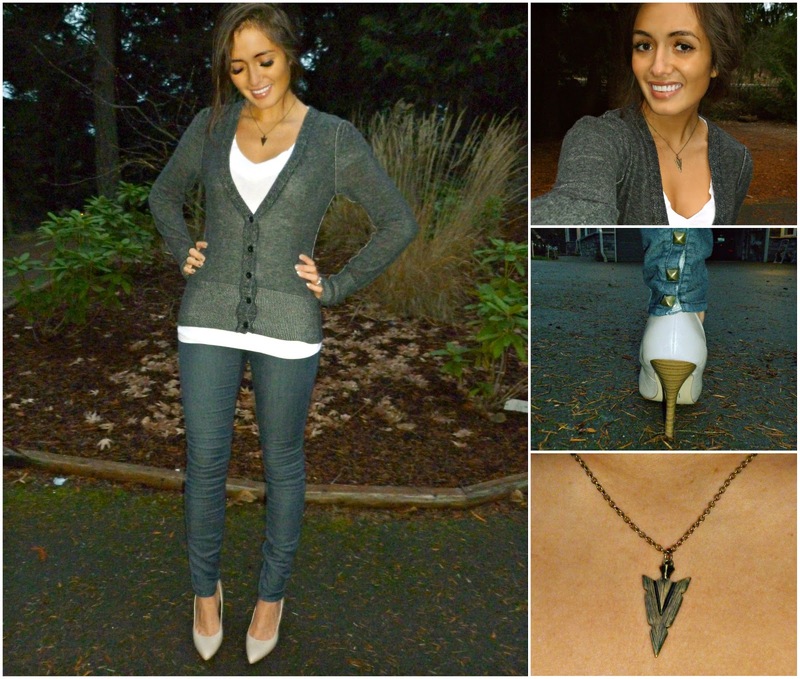 Love the jeans, the heels and the necklace! i adore your style babe! Lovin those stilettos and the necklace! You are too cute! $10 shoes? oh my they are so cute! you are rockin' them. i always have to plan my "what i wore wednesday" posts to be in the sunlight. it's kindof high maintenance. anything for my readers! Love it!, you look amazing!! What a great combination! Adorable! Those jeans are super fab! Fabulous outfit! I love the arrowhead necklace. Thanks for stopping by my blog, you feedback was fabulously encouraging. i love all your outfits. this one is perfect and that arrowhead?! don't even get me started.